There is nothing bland about neutrals – these fabulously muted hues are adept at bringing a sense of sophistication and style to your home, with timelessness and poise. Age-defiant, modest and still extremely luxurious, neutral hues are favoured by interior designers and decorators, and it’s not hard to see why! To get you started we’ve gathered 11 of our favourite muted, neutral and pale interiors, which are anything but dull. These fabulous rooms are superbly arranged and designed, maximising their atmosphere and employing colours that are timeless and chic. No matter what room of your home you are hoping to refurbish, check out the images below and get started today! 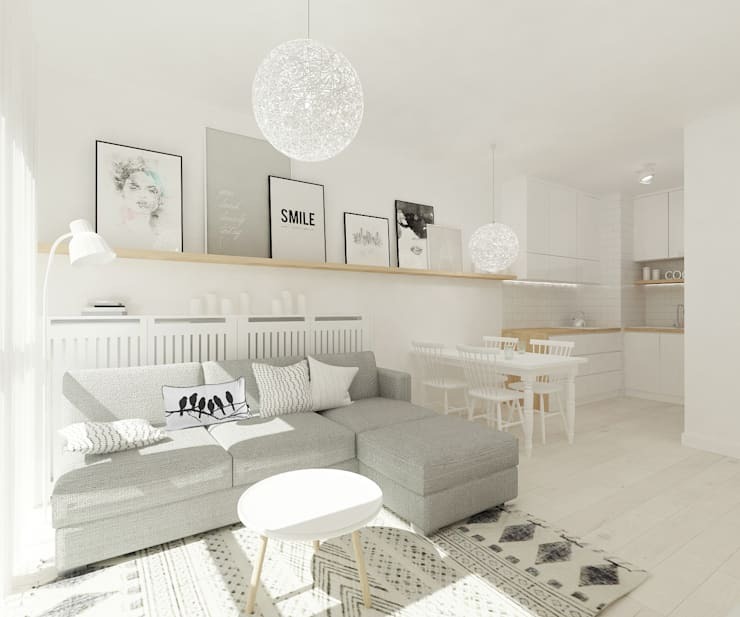 In our first interior, designers have opted for a range of white and grey hues that effortlessly create a Nordic and Scandinavian aesthetic. 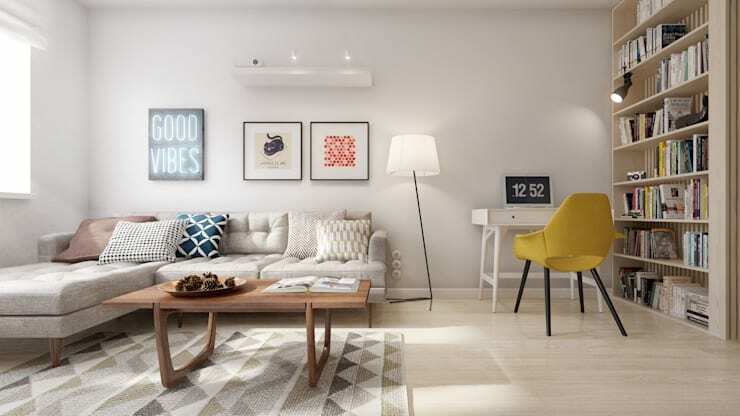 Sleek, chic and playful, this room is perfectly adorned for comfy family life. When we think of neutral hues, we often forget they can add drama and flair to an interior space. Here the minimalist room benefits from black, white and grey, imparting a bold impressive quality, which is timeless and elegant. 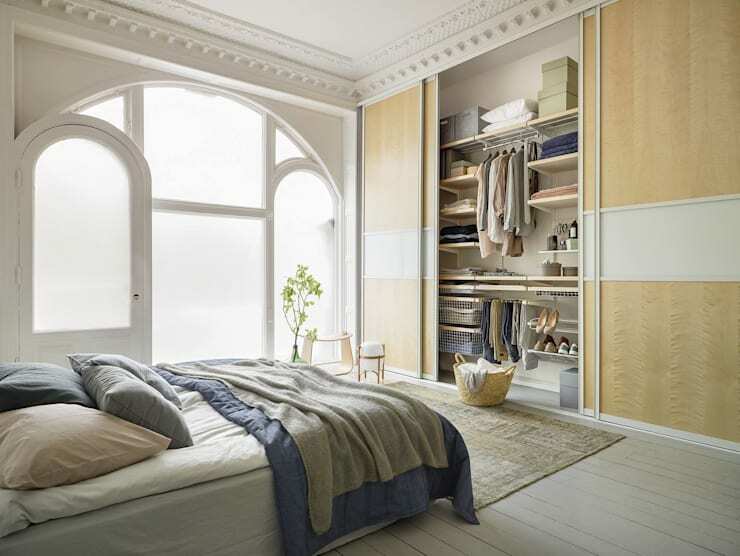 Just because you are opting for a neutral room, doesn’t mean you need to forego all colour. Employ a few splashes of colour to evoke cheerfulness and verve. 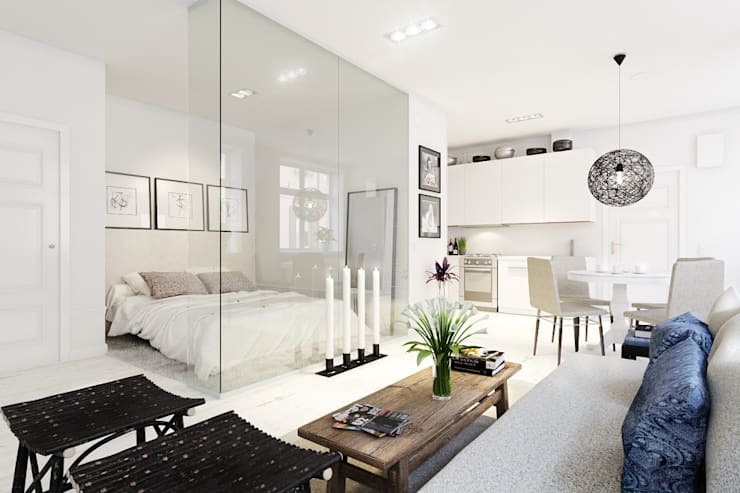 Here the all-white colour scheme is punctuated by black picture frames, which highlight a sense of sophistication. However, the living room furniture is inviting and hospitable, giving a warm and welcoming atmosphere. In this next room, we see how neutrals are utilised to evoke opulence and luxury. They are paired with glazing and stark black accessories to emulate a feeling of drama and refinement, which adds to the overall aesthetic. 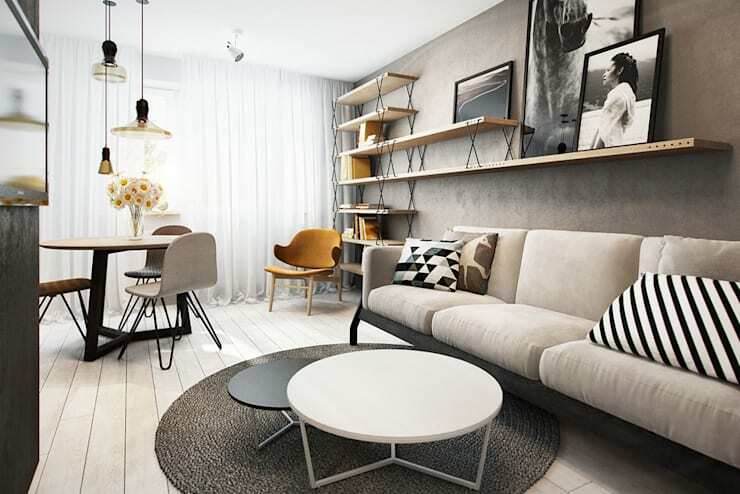 One of my personal favourites, this contemporary room embraces grey neutrals to bring a sense of modernity, with a retro touch. Mustard highlights are added, which break up the monochromatic ambience, keeping the air fresh and intriguing. Neutrals are almost always associated with romanticism and love. Here they follow that trend and produce and alluringly whimsical bedroom that is as enticing as it looks. The term neutral encompasses a wide range of different colours. 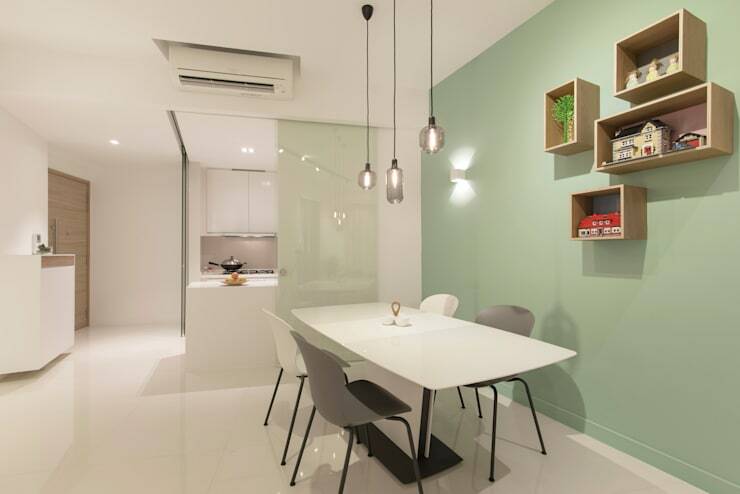 In this Singapore apartment, we see how the designers have opted for a pastel sage hue, which brings interest and diversity into the muted palette. 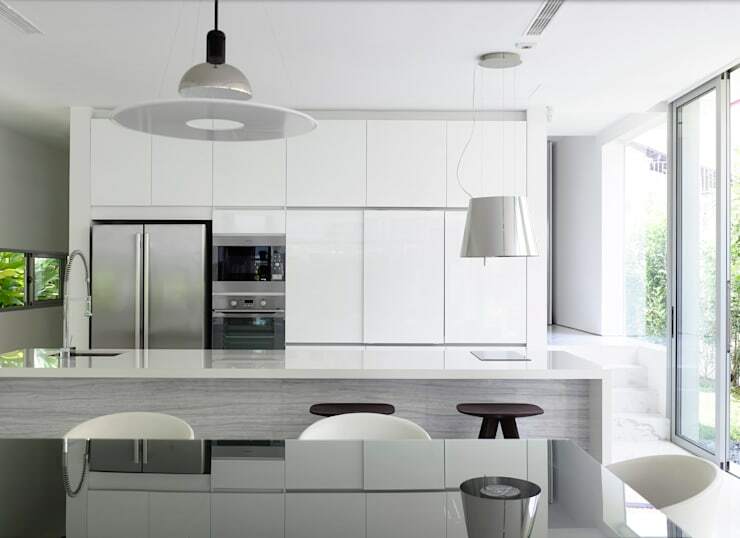 As well as working with different colours, sometimes an all-white palette is a great option too. 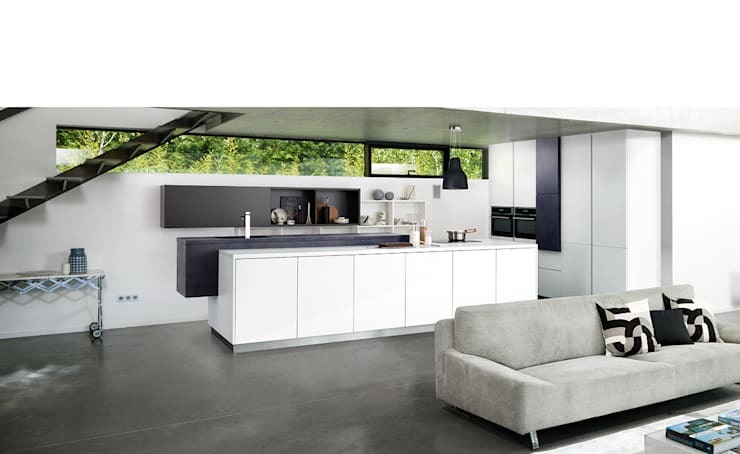 For minimalist homes, contemporary dwellings and those looking to impart a sense of age-defiance, you needn’t add colour, just stick to the basics. 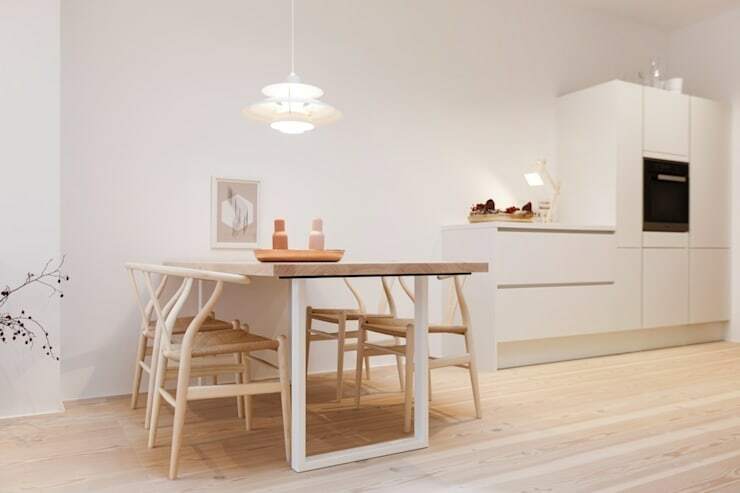 This Scandinavian dining space is both neutral and warm. Imparting timber textures and tones, the style of the room is one of comfort and practicality. 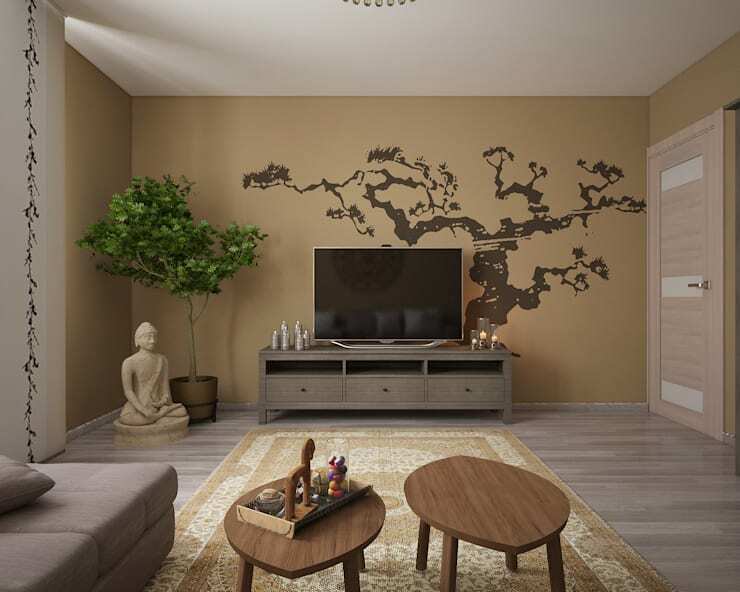 Finally, we take a peek inside a different neutral room, which has employed earthy tones with a Zen-like quality. These are serene and tranquil, while ensuring a feeling of liveability and style. Which interior style do you prefer? Let us know below!